Sup guys, it's Tyler. I don't think I've run a Create Competition before so I am proud to present my first! 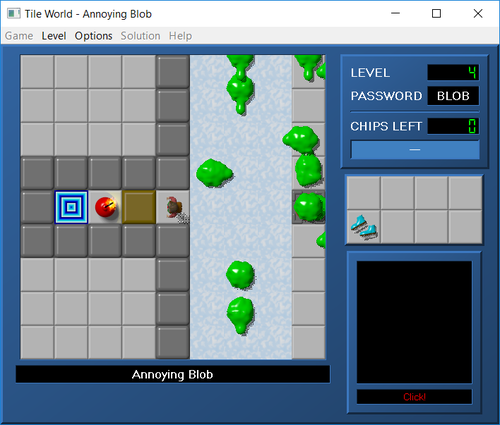 For this competition, I wanted to celebrate the upcoming Chip's Challenge 2 three year release anniversary (on May 28th) with this month's theme: Chip's Challenge 2 - Back to Basics The CC2 editor was originally tiny, so many of the original CC2 levels are 10x10. It's been 20 years since those levels were designed and making huge levels is enticing, but for this competition I want you to make a 10x10 CC2 level to show how far level design has come and what neat concepts you can pack into a small space Guidelines: 1. The level must be your own and not already be publicly released. 2. 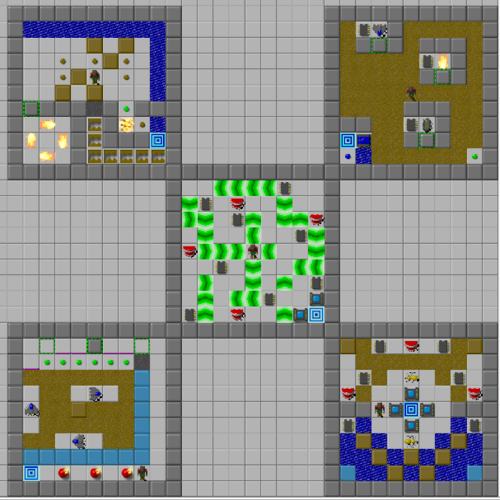 The size of the level map MUST be 10x10. 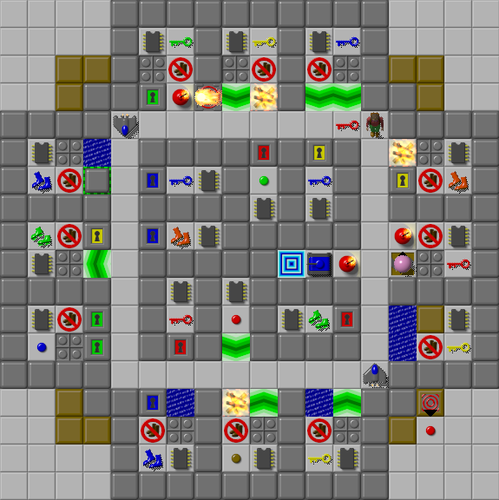 The level contents can of course be smaller, but CC2 cannot handle smaller map sizes than 10x10. 3. It should be a CC2 level. If you do not own or cannot run CC2, I will allow CC1 levels to be submitted, given that it could be theoretically ported to CC2 (e.g. no taking advantage of CC1's trap connections! ) 4. The deadline is May 31st, 11:59 PM EDT (GMT-4). PM me on CCZone or Discord (quiznos00#3068) to submit your level(s). You can submit up to 5 levels for consideration. Have fun! These are the levels submitted for the 2017/2018 Holiday Create Competition as well as the partners' write-ups about their levels. For more information please see the competition thread. These are the levels submitted for the February 2018 Create Competition - Walls of CCLP4 Check out the thread for more details, like list of levels and designers. Enjoy! It's been three years since the last Survival competition, so it's about time we had a new one! http://cczone.invisionzone.com/index.php?/files/file/642-%7B?%7D/ I combined all the previous Survival levels into this one set, with the newest one, #6 - Impending Demise, being used for this competition. It's built by Lessinath, so a big thanks in that direction. 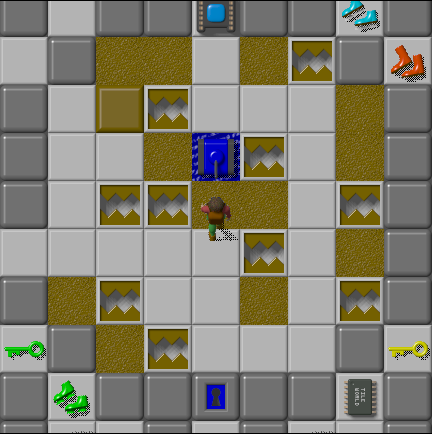 It is similar in nature to the very first Survival level with some key differences that I'll let you discover. The objective is to stay alive as long as possible before the monsters get to you! You may play in either MS or Lynx. The point of these competitions is to have fun and connect with the community. While that's the case here too, this is also your chance to try and see how crazy you are about this game of ours. There is no randomness in the level and there is no way for you to influence the monsters, all you can do is dodge. Then die and try again. I expect most participants to just send in a casual, maybe a decent effort, but maybe someone out there will go overboard with this and plan out an actual method to stay alive for way too long than is healthy. Don't feel pressured to be that guy. If you are that person, please only do it if you find enjoyment in it. The rest of us will then wait for the results. The deadline for your submission is in a month, November 12th where you live. Send in your avi or tws attempts to me at valeosote at hotmail dot com. You may solve the level or die in the attempt, it doesn't matter, though it is easier for me to judge this thing if you send in a tws which does require you so reach an exit. I may choose to combine some submissions into a tie if they are close to each other by a few seconds (up to ten, and this clause is here so you don't feel bad about maybe surviving another second or two). I will strive to reply with a confirmation that I have received your entry and reviewed it. I prefer if you use your username and this competition in the email subject. Keep it short and simple, something like: "October Survival - Santa." Ask below for any stuff that I didn't cover or is otherwise on your mind! Feel free to vent your frustrations and other feelings, but try not to spoil your actual score on the level. Enjoy! -Miika P.S. Though it is usually implied, I feel specially obligated to point out a technical requirement for this competition: though you may plan out a method of attack and even use tools that help you in this, your actual submission is supposed to be played by you without any gimmicks. Just use your sense of fair judgement and ask in case you are thinking of something that may be borderline. Here are two levels for you to compete with, and a bonus level that shows the inspiration for the first level. 17.5 A - Bargain Brinks by lookatthis and Miika 17.5 B - Time Trial Mix III by Miika (kind of) Bonus: Brinks by lookatthis (#41 of 60_Minutes.dat) This time we are primarily competing in MS, but your Lynx solutions are always welcome as well! For more details on the competition, check out its thread. Enjoy! Here are two paths designed to be played in MS. Which do you think is quicker? After drawing this picture, I found an improvement to one of the routes. 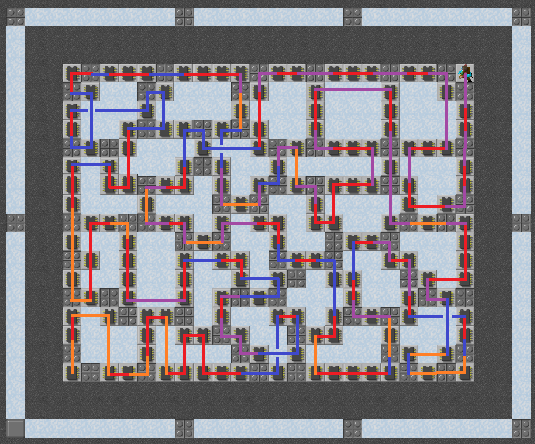 It takes some understanding of the level to do so, but if you can find how to improve either route, leave a comment. If you are stumped and want to know what I found, check the video posted in the competitoin's thread for the answer. Here is the path used by the quickest submitted Lynx solution to the first Time Trial level of May 2017. The colors indicate the order in which the route was built, in the order red, orange, purple, and blue. This route is ten seconds quicker in MS than Lynx, but still it can be improved upon in MS, making it interesting to compare this with the MS routes posted. There is a video uploaded with this path executed, so check the competitoin's thread for that and other info. The levels for the April 2017 Time Trial. Not Random - by SugarHue123 and Miika Toukola (three versions of this level, #1, #3, #5) Dissenter - by Miika Toukola, inspired by Tom Patten (two versions of this level, #2, #4) Also, the templates for the April 2017 Create Competition are included in this file (levels #7-11). Check the competitions subforum for threads on both these competitions! Enjoy! UPDATE: the final room in the first level proved to be too annoying, so the update removed two of the pink balls there from the monster list. 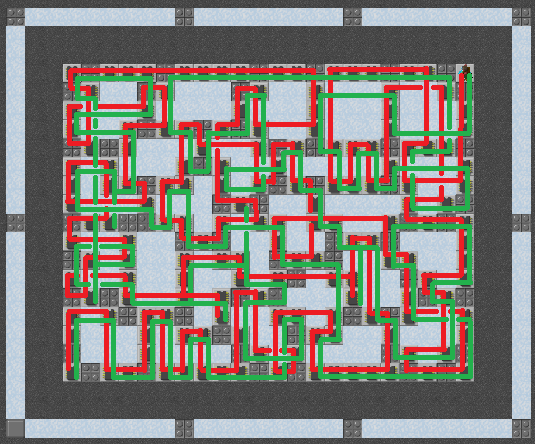 Previous solutions should not be affected, nor anything in Lynx, but now in MS the level is slightly more reasonable.